Would you like a chance to win a print copy of The Laird Takes a Bride? Click here. This giveaway, open internationally, ends October 8, 2017. A Top 10 Romance Debut! I’m celebrating this lovely accolade from Booklist with a flash giveaway on my Facebook page! A signed, print copy is up for grabs. Stop on by to enter — and good luck! 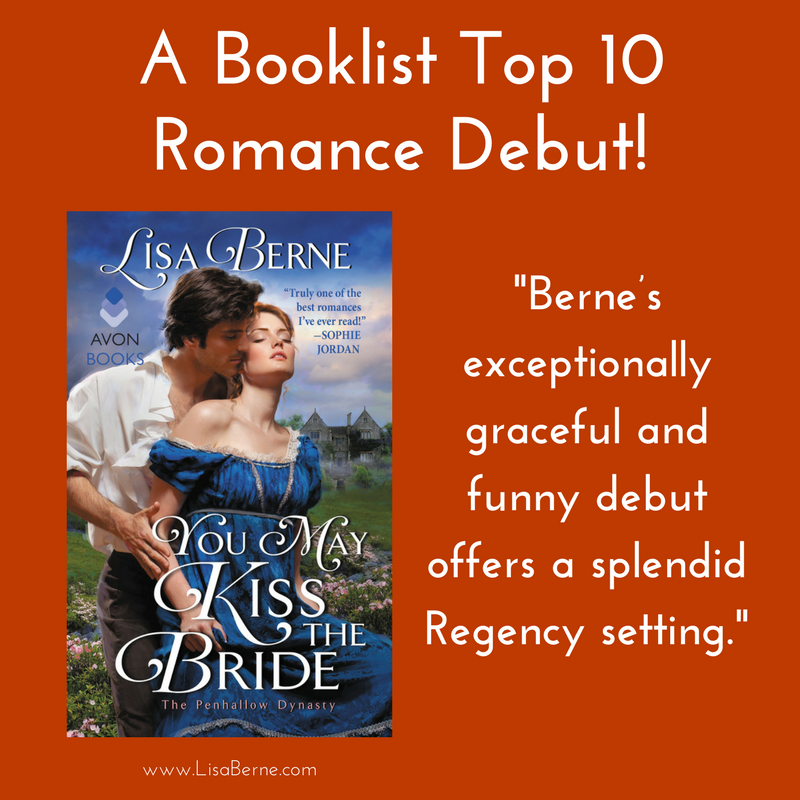 Want to learn more about You May Kiss the Bride, order a copy, or read an excerpt? Click here. Virtual tour for The Laird Takes a Bride! Avon Books and Goddess Fish are hosting this tour celebrating the release of the second book in my Penhallow Dynasty series, and three e-book copies are up for grabs! If you’re interested in entering, be sure to do so this week. The tour wraps up this Friday, on September 29th. And good luck! A signed, print copy is currently up for grabs. It’s the first book in my Penhallow Dynasty series, and was recently named by Booklist as one of the year’s top 10 romance debuts. To enter, click here. And good luck! To learn more about You May Kiss the Bride, click here. A giveaway from Sophie Jordan! I first met Sophie at the Romance Writers of America’s annual conference in 2016 — at the Avon Books party, to be precise. I’ll always remember her big smile, warm greeting, and how she pulled up on her phone the cover of her next historical romance, While the Duke Was Sleeping . . . and we ooh’ed and aah’ed over its gorgeousness. I invite you to feast your eyes! Now the wonderful Sophie’s offering a giveaway of The Laird Takes a Bride on her Facebook page! Would you like to enter? Click here. And good luck! A Goodreads giveaway for The Laird Takes a Bride wraps up on Tuesday. If you haven’t already, would you like to enter for a chance to win a signed copy? If so, click here. I devoured Joanna Shupe’s enthralling A Daring Arrangement, and I want to share the love! 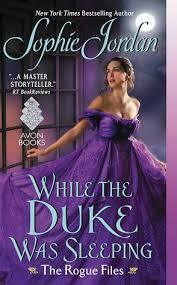 Stop by my Facebook page for a chance to win this advance reader’s copy. And good luck! Would you like a chance to win a signed, print copy of The Laird Takes a Bride? Click here. Heroes & Heartbreakers says it’s a “sometimes humorous, sometimes eerie, sometimes dangerous courtship . . . If marriage-of-convenience is your catnip, you’ll enjoy this one.” Want to read the full review? Click here. I’m delighted to be featured on the blog of the wonderful Lenora Bell, with an interview and a giveaway celebrating the release of my latest book! What was the favorite part of your research for the book? My hero, Alasdair Penhallow, lives in an ancient castle — renovated to state-of-the-art elegance and comfort circa 1811, but still, it’s a castle. Très romantique! I spent quite a few happy hours on the web studying Scottish castles and estates. Authors often have all kinds of influences and allusions in their stories. What about in The Laird Takes a Bride? Yes, they’re definitely in there! Here are a few examples. My heroine Fiona’s first (and lost) love was based on the charming, fascinatingly slippery Morris Townsend in Washington Square. 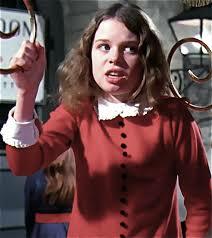 A strong-willed secondary character, one of the “contestants” for Alasdair’s favor, was modeled after Veruca Salt in Charlie and the Chocolate Factory, a movie I saw ages ago and which — obviously — made a deep impression on me! The work of Stephen King inspired a scene in which Fiona is frightened by memories of being told bloodcurdling tales about a ghastly creature called the Sack Man. In Chapter 12 you’ll find a tiny tip of the hat to Rhett Butler in Gone with the Wind, and in Chapter 16, a bit informed by Little Women — specifically, the scene in which Amy and Laurie confess their love, a passage I found thrilling as a kid. (And still do.) Look for Fiona saying, “It fits,” and Alasdair’s reply. What’s the funniest/strangest thing a reader or a relative has said to you about your books or your writing career? 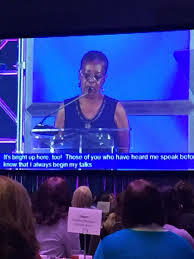 Romance writers everywhere know the look — a little sheepish, a little roguish — and the question that inevitably follows: “So, uh, did you do your own research for the, uh, racy parts?” I love the response Beverly Jenkins shared during a speech she gave at last year’s Romance Writers of America conference. When people ask this question, she told us, she’ll reply, with exquisite and tantalizing brevity: “Yes.” And we all cracked up laughing. What’s up next for you? What are you working on right now? I’m finishing the third book in the Penhallow Dynasty series, The Bride Takes a Groom, which releases next spring. It features Captain Hugo Penhallow, who appears toward the end of my first book, You May Kiss the Bride. He marries a childhood friend, Katherine Brooke, a brilliant and complicated heiress — and their marriage is quite complicated also! Would you like to enter the giveaway for a signed print copy of The Laird Takes a Bride? Stop by Lenora’s blog or her Facebook page and say hi! 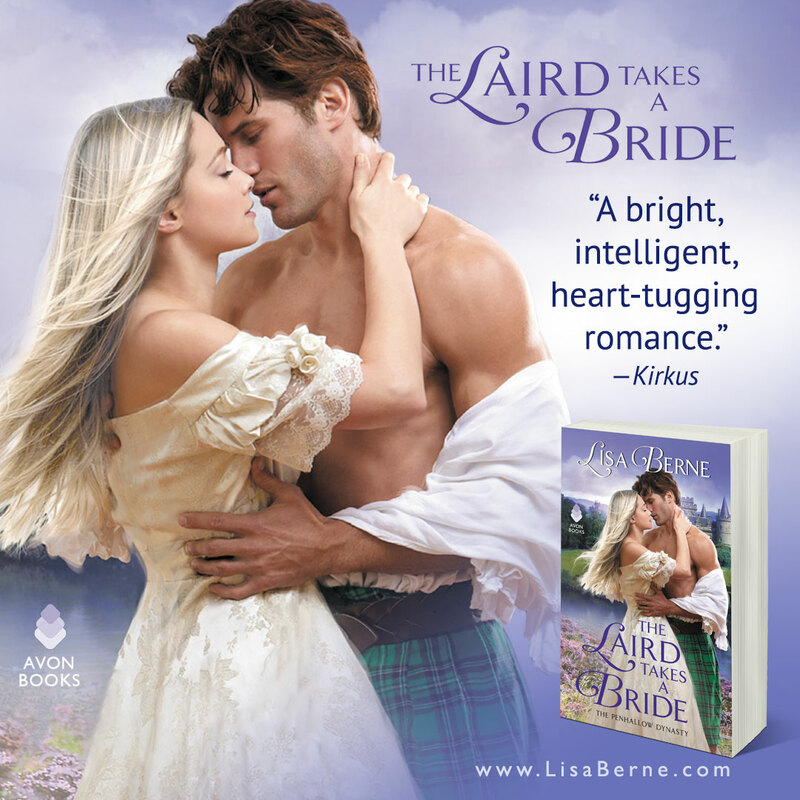 For more info about The Laird Takes a Bride, click here. 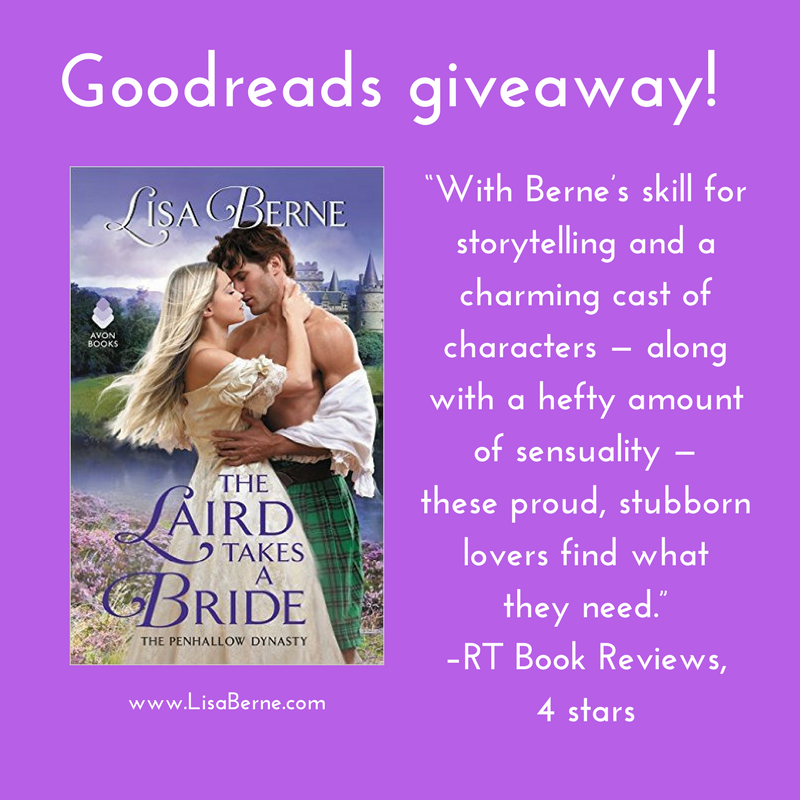 Two signed copies of The Laird Takes a Bride are up for grabs! Click here for more info, and to enter. And good luck! This giveaway ends on September 10, 2017.